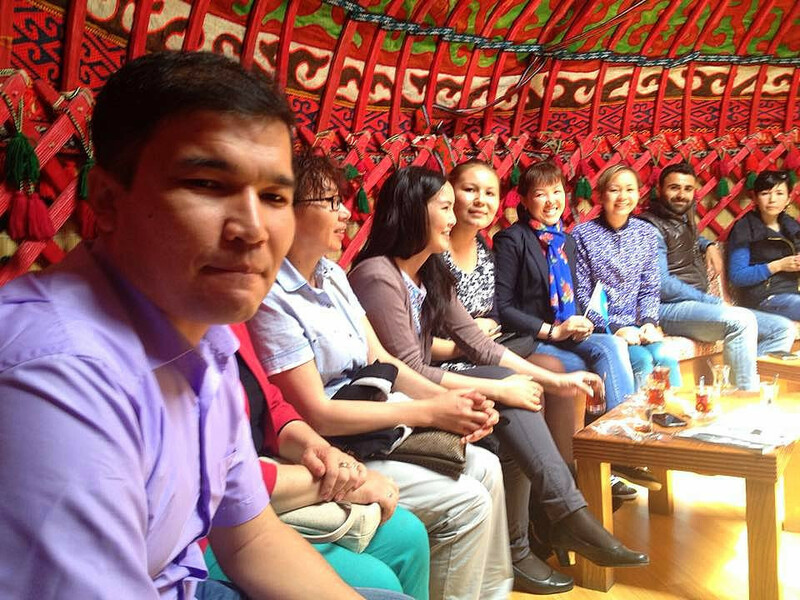 Kazakh students of Almata University who are the invitees of Fatih Sultan Mehmet Vakıf University visited Topkapı Turkish World Cultural Site. 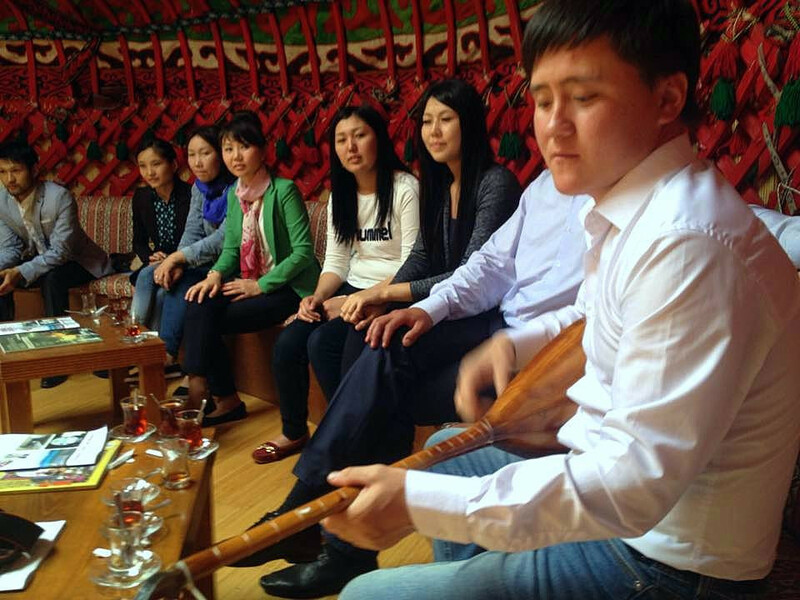 During the visit, the students sang Kazakh songs accompanied by the Kazakh national musical instrument “dombra” in the big Kazakh tent which was given as a present to the President Recep Tayyip Erdoğan by the Kazakh President Nursultan Nazarbayev in 2011. 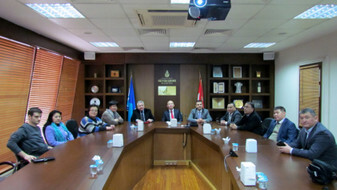 Culture Co. General Director Nevzat Kütük and Culture Co. Administration Affairs Manager Salih Doğan participated to the mini concert. 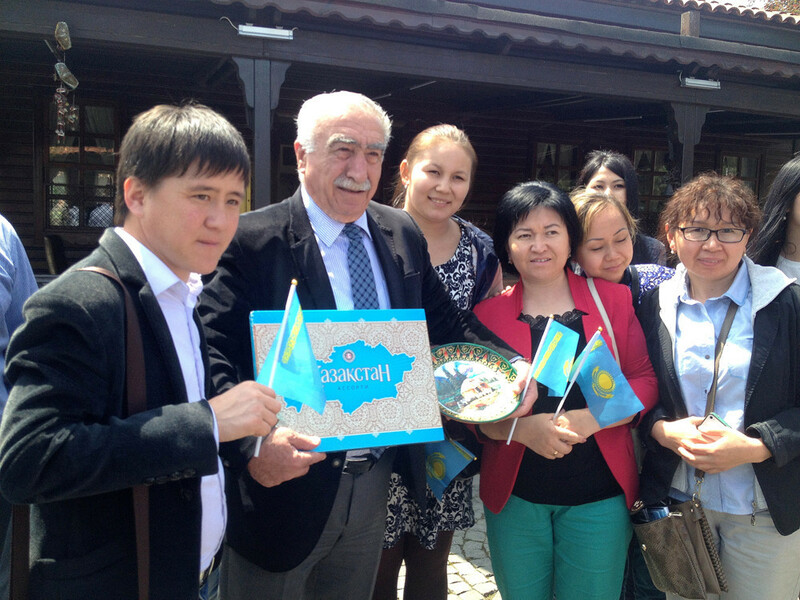 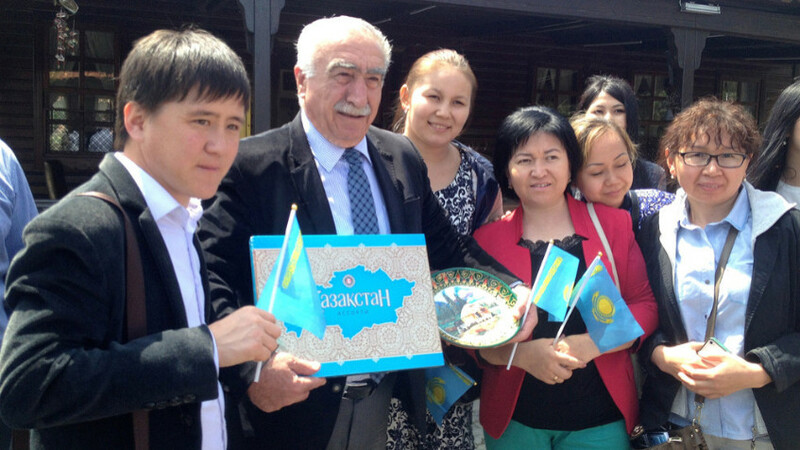 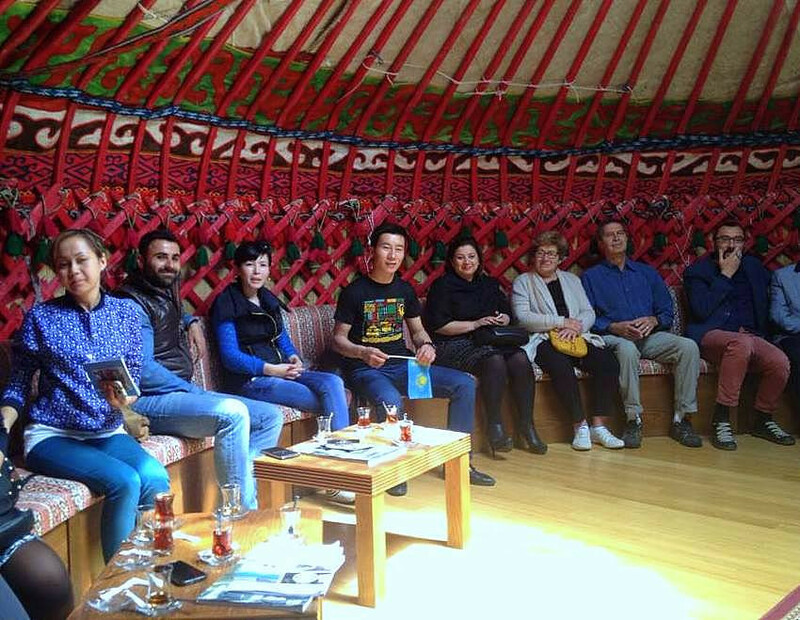 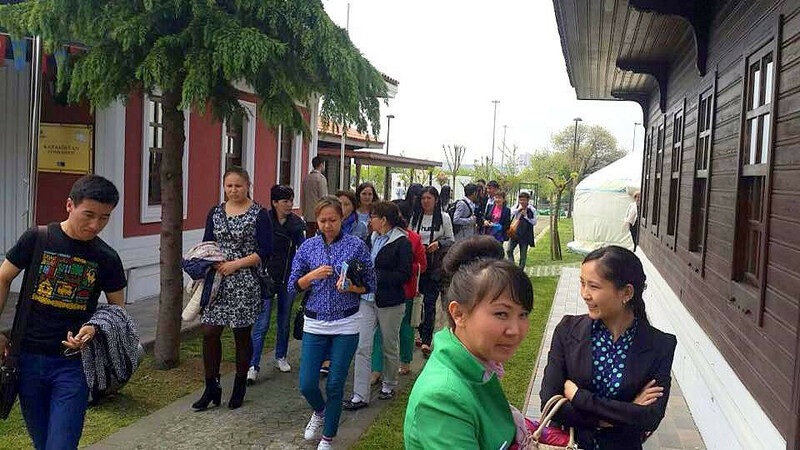 Dombra player and musician Nurbazar Irıstankul stated that they are very happy to be in such a beautiful place and they took great pleasure to play dombra in a Kazakh tent in İstanbul and thanked Istanbul Metropolitan Municipality Culture Co. General Director Nevzat Kütük for this organization. 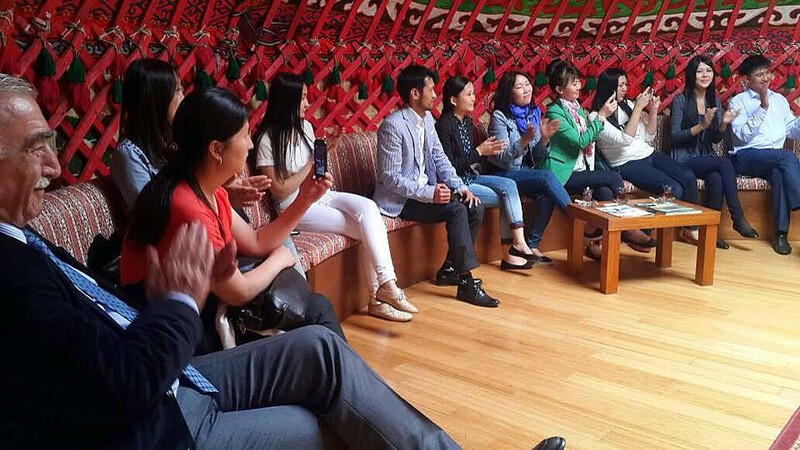 Culture Co. General Director Nevzat Kütük greeted the students sincerely and said that Turkish World Cultural Site is founded to contribute to promote of the cultures of the Turkish world in the best possible way. 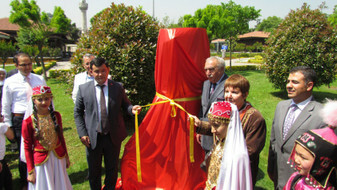 He added that they have welcomed many guests so far in the Cultural Site and they have organized various programs specific to the Turkish world. 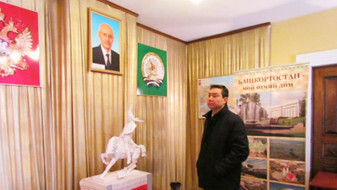 He expressed his pleasure to organize such programs. 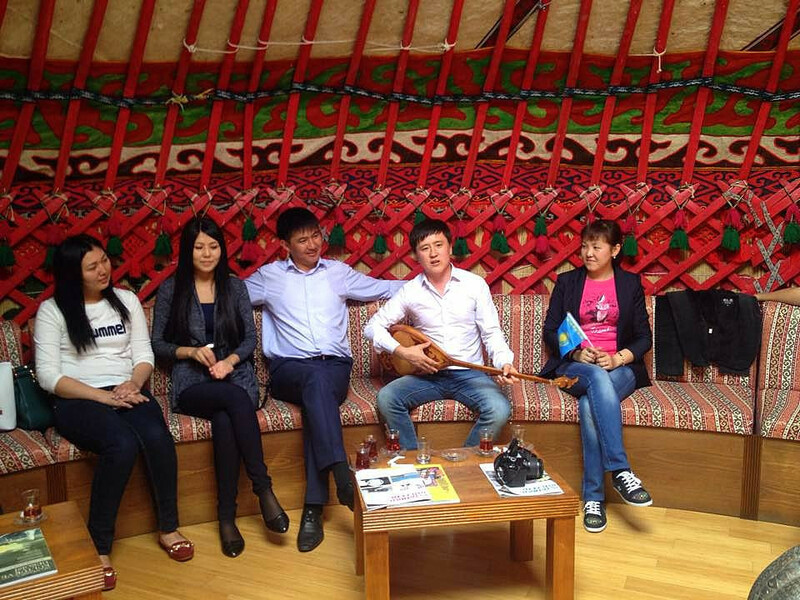 Then, he thanked the students and the musicians for the dombra concert. 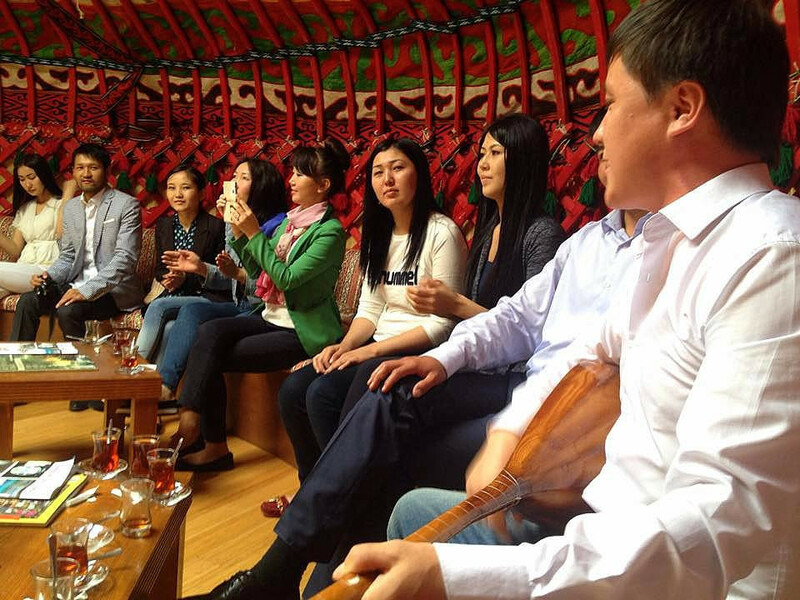 After the musical event, the students are hosted by Culture Co. at the Turkish World Zinnet Restaurant. 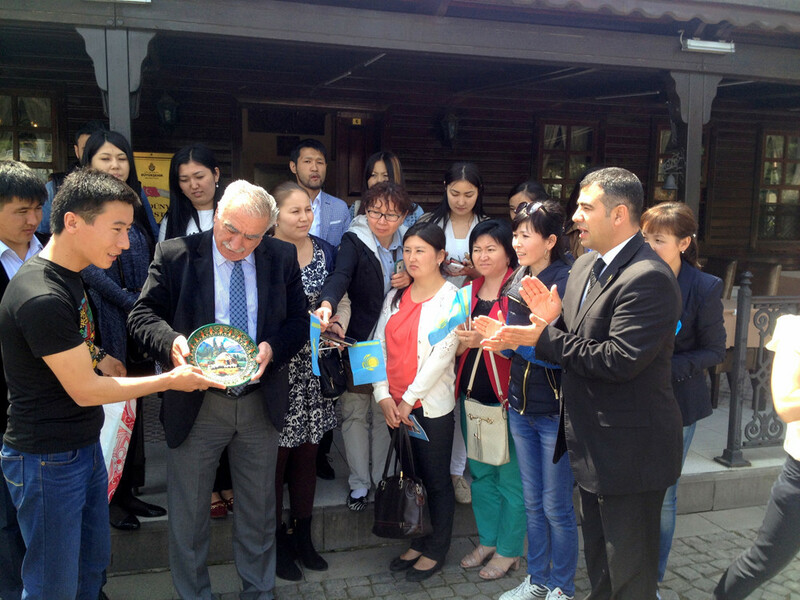 The visit ended with the photo shoot and the students’ presentation of a gift to the Culture Co. General Director Nevzat Kütük.